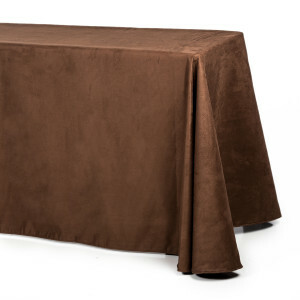 Conference tablecloths are custom made to your specifications in either a basic tablecloth style, Fitted Dropover or SnugFit. 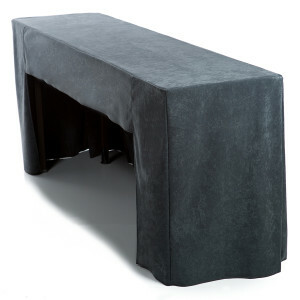 All table linens can be made with a shorter length on the back to allow chairs to be pushed in. Made with custom footholds for perfect fit. Matte finish 100% polyester. 60" wide fabric. Machine washable/dryable. 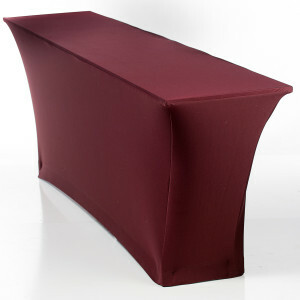 Premium double ply plush fabric. 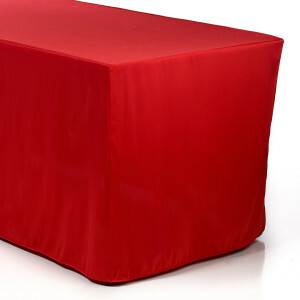 Reversible and very wrinkle resistant for easy care. 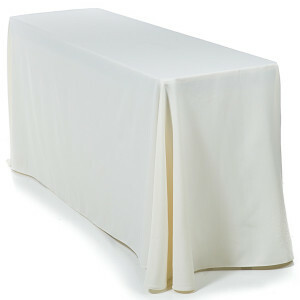 60" wide fabric. Machine washable/dryable. Professional look for meeting and conference rooms. Extremely durable. Single-sided brushed surface. 58" wide. Machine washable/dryable.